Triangle Awarded 3 Student Accommodation Projects! Triangle Fire Systems have been awarded the contract for the supply, design, and installation of a BS 9251 fire sprinkler system at 3 new student accommodation projects on behalf of McAleer & Rushe. The 3rd project is Summerhill in Dublin. The demolition of existing industrial units will make way for this new build 7 storey student accommodation block with roof terraces. The building will create 374 student residences and associated facilities including common/social areas, study rooms and laundry rooms. At all 3 projects we will be providing BS 9251 residential fire sprinkler systems to all student bedrooms and communal areas. Dry Rising mains will also be installed at McClintock Avenue and Summerhill. 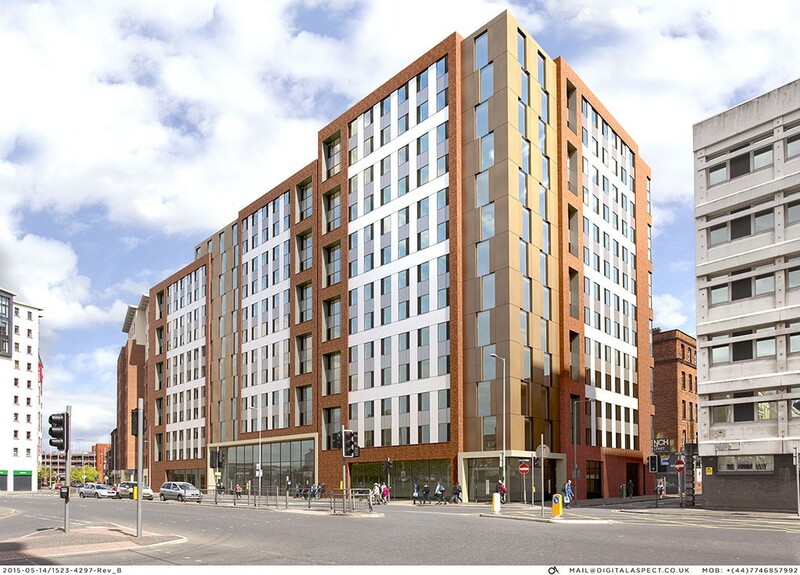 We have an excellent working relationship with McAleer & Rushe and have successfully completed installations at their other student accommodation projects including Angel Lane, Catherine House and Back of the Walls.